Residential wells south of airport are being tested for possible chemical contamination. 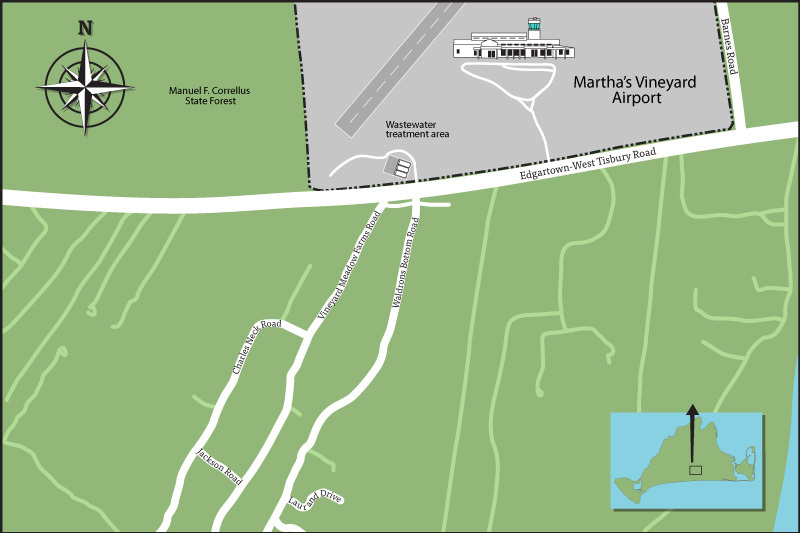 Leaders at the Martha’s Vineyard Airport confirmed this week that hazardous chemicals have turned up in groundwater monitoring wells and some residential wells near the airport, and said immediate steps are being taken to both evaluate and mitigate the problem. The contaminants are Per and Polyfluoroalkyl (PFAS), chemicals compounds that occur in firefighting foam that has been used for decades at military bases and airports, including the Vineyard airport, officials said. Unsafe levels of the chemicals were first detected in monitoring wells around the airport last spring, prompting further testing this fall. At a public meeting called Monday, airport leaders and their environmental consultant said strategic testing is now under way in private wells south of the Edgartown-West Tisbury Road, downgradient of the airport. Some 130 residents, including on Waldron’s Bottom Road, Vineyard Meadow Farms Road, Charles Neck Road, Laurand Drive and Jackson Road, were formally notified by letter of the problem last Friday. 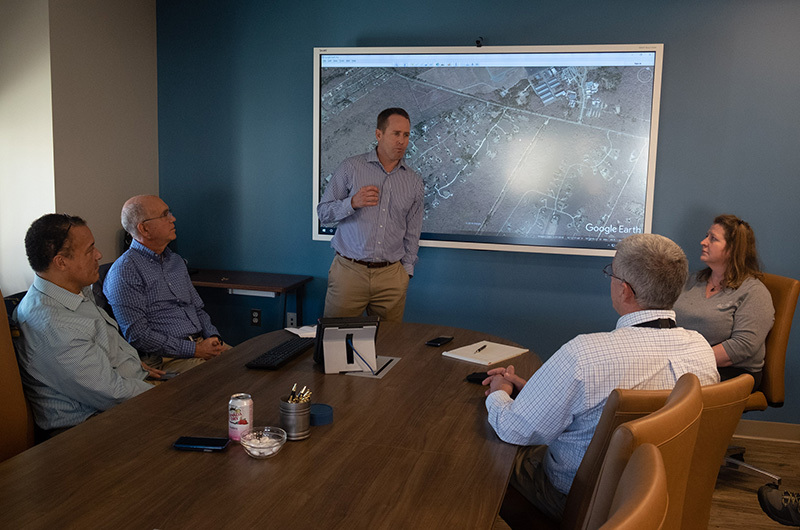 By Thursday this week, unsafe levels of contaminants had been found in six private wells, according to Ron Myrick, an environmental consultant and director of remediation for Tetra Tech working for the airport. Bottled water is being provided to affected residents. More testing is under way, officials said. PFAS contamination in groundwater is a relatively new discovery, with government guidelines for safe use still being developed at both the state and federal level. Currently there are no federal guidelines but in June the Massachusetts Department of Environmental Protection issued safe guidelines of 70 parts per trillion. Exposure to elevated levels of the chemical can cause liver, kidney and immune system problems and could be unsafe for women who are pregnant, according to the DEP. “This particular issue is turning the environmental world upsidedown,” Mr. Myrick told a room full of concerned Island residents Monday. Airport director Ann Richart said she first became aware of the PFAS problems from firefighting foam used at airports late last year. As a result, she said in January 2018 the airport signed a $30,000 contract with Tetra Tech to begin testing the water in monitoring wells around the airport. Tetra Tech has done environmental work and troubleshooting for the airport dating back for some 20 years, when a plume of chemicals turned up in the groundwater that was traced to a former dry cleaning business located near the airport. 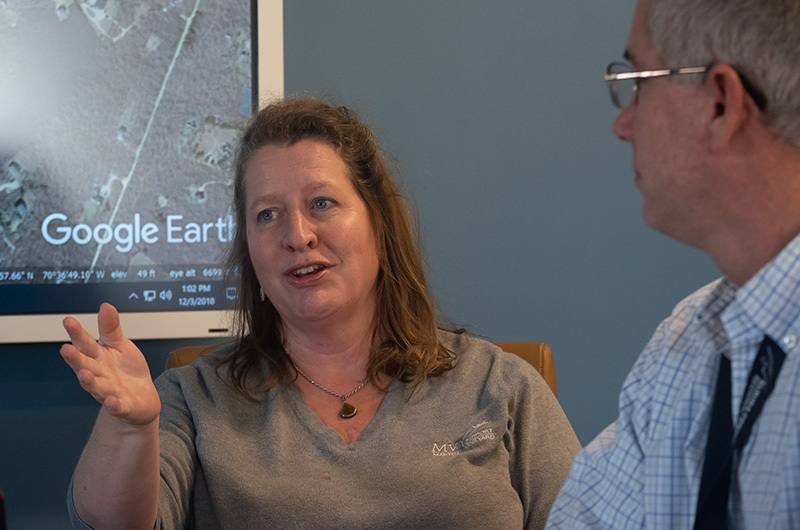 In April, Tetra Tech test results showed high levels of PFAS in the monitoring wells — more than 1,000 parts per trillion, Ms. Richart said. In September, after further analysis, Ms. Richart said Tetra Tech recommended that testing be expanded to private wells south of the airport. A month later the airport signed a new $20,000 contract with Tetra Tech for the additional work, she said. When the first test results from private wells came back early last week, the airport took steps to begin public notification and also continue testing, Ms. Richart said. Ms. Richart said she believed the airport officials acted in a responsible, timely manner once they had enough information in hand about the problem. “There’s a balance between creating an uncalled-for public health scare and making sure people have the information they need,” she said. She also said the airport has taken steps to adopt new protocols for how the firefighting foam is tested (testing of the foam was previously done twice a year but was changed to once a year in 2017 with FAA approval). Previously the foam was discharged directly onto the ground during testing, but now it is discharged into a containment tank where it is collected and contained for proper hazardous disposal. And with federal legislation recently passed allowing airports to use foam that contains no PFAS, airport officials say they are hopeful that they can phase out the current generation of foam altogether. Assistant airport director Geoffrey Freeman, who is in charge of firefighting at the airport, said he is waiting to receive an approved list of alternatives from the FAA. Mr. Freeman said the most recent test of the foam was conducted in November. The testing took place in the southeast quadrant of the airport where the underground containment tank is located. The Vineyard is a federally designated sole source aquifer, with much of its groundwater contained in a large lens of fresh water that lies beneath the 5,200-acre state forest surrounding the airport. About 30 residents who crowded the small meeting room in the airport firefighting and rescue building peppered him with questions. One asked what happens to the firefighting foam after it is tested. “What do you do with all the captured material?” asked Domingo Pagan. West Tisbury health agent Omar Johnson said he had received a deluge of phone calls since the contamination was first reported last week. He asked whether the airport will cover the cost of private well testing. Ms. Richart said the airport is not covering the cost of people testing their own wells. “We’re testing wells ourselves. We’ve identified ones that we think are strategic and important to test . . . as people have requested that we test their wells, if it seems like that’s reasonable, we’re testing them,” she said. Edgartown health agent Matt Poole said well testing south of the airport could be missing other homes potentially in the groundwater flow. Robert Tonti asked how much impact the foam has had on the groundwater since it was first put into use. Other residents later praised the prompt response by the airport. A full report from the findings by Tetra Tech is due to be submitted to the DEP in January 2019. Ms. Richart emphasized that PFAS contamination is a relatively new issue, and said the airport is fully engaged in taking steps to address the problem. This story has been changed to correct inaccuracies that appeared in an earlier version. The firefighting foam used at the airport is tested annually as required by the FAA, but the tests do not take place during fire training drills. When the foam is tested, it is discharged into a sealed containment tank, not a catch basin. The most recent test of the foam took place in November in the southeast quadrant of the airport where the containment tank is located, not in the southwest quadrant where the sewage treatment plant is located. I've read all the articles on the subject. it is clear the professionalism with which the airport handles the problem. sure that they are acting ethically. Well written article.Serious issue present on this special Island.Thank you for the information.